We love spicy in our house. So when Chex Cereal asked me to create a Chex Party Mix recipe with a twist for the holidays, I knew just what I wanted to do. 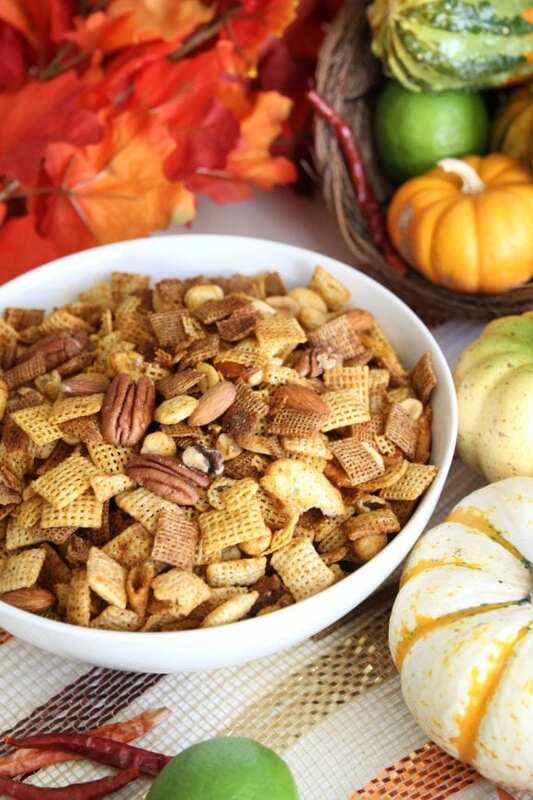 We live in California, and everything here comes with Mexican spices. So to switch up our Thanksgiving, I wanted to come up with a way to give a little kick to the tradition. Introducing... my quick and easy spicy Chex Party Mix recipe. I used the traditional Chex Party Mix recipe but I added ground ancho chili pepper and paprika, and instead of Worchester sauce, I added some fresh lime juice to give it tang. It turned out so delicious! 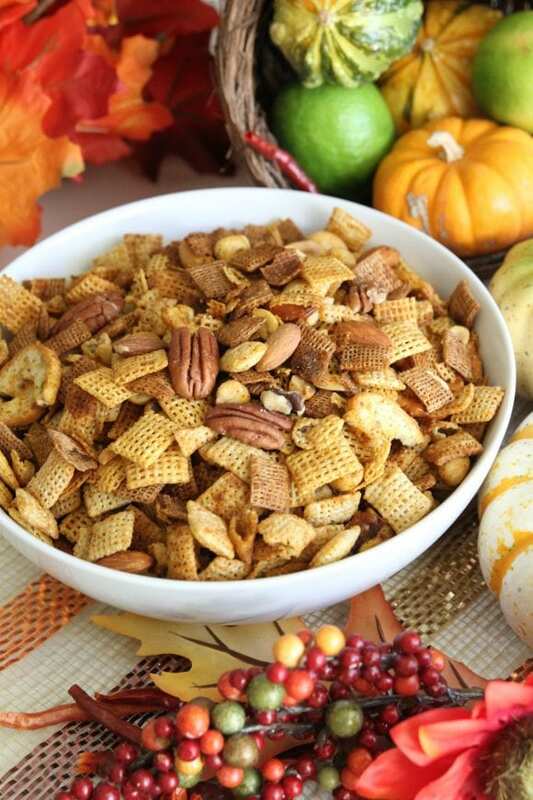 In large microwave-safe bowl, mix cereals, nuts, pretzels and bagel chips, then set aside. In small microwavable bowl, microwave butter uncovered on high about 40 seconds or until melted. 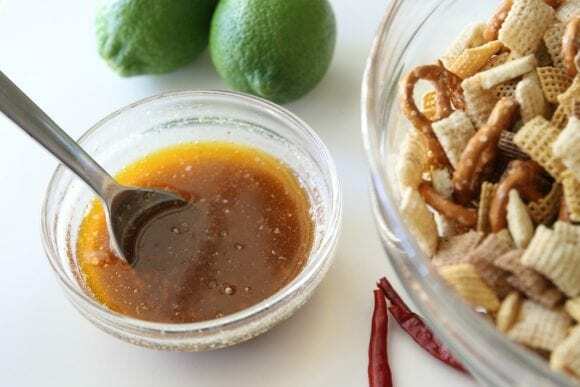 Stir in spices and lime juice. Pour over mixture and stir until evenly coated. It comes out so tasty and spicy in less than fifteen minutes. If you like extra spicy, increase the ancho pepper. 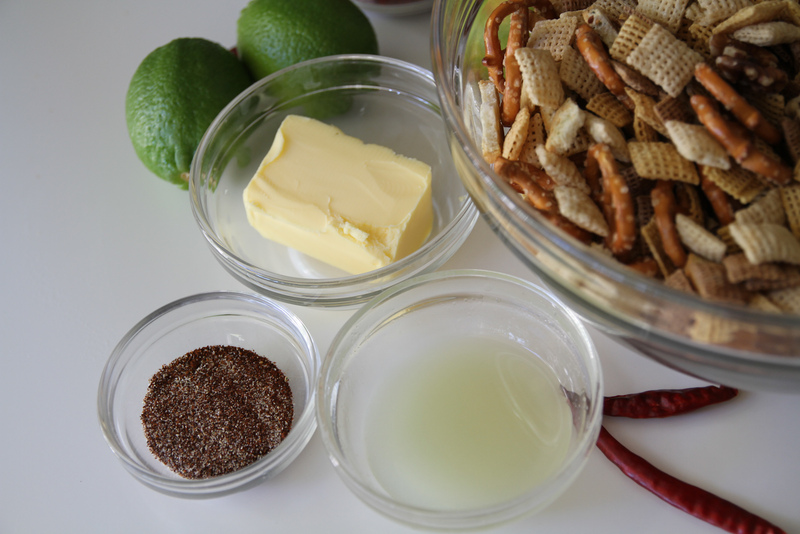 Or even find your own twist like adding tortilla chips instead of bagel chips. 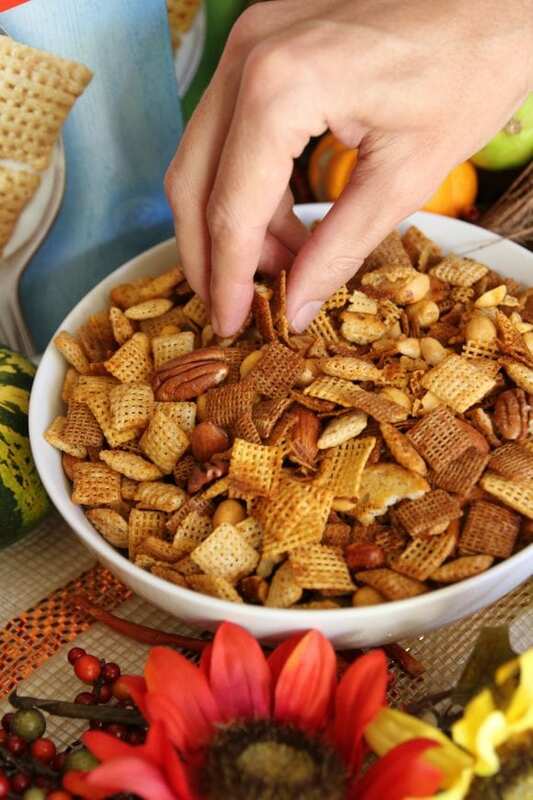 Chex Party Mix is the perfect snack to serve to your family and guests this holiday season. 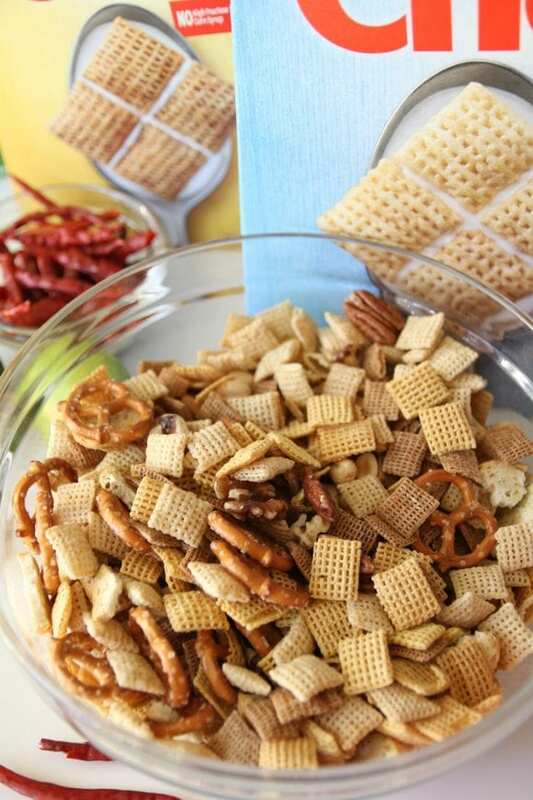 It's a fun mix of nostalgia and deliciousness that will bring your guests together, and it's so hassle-free. 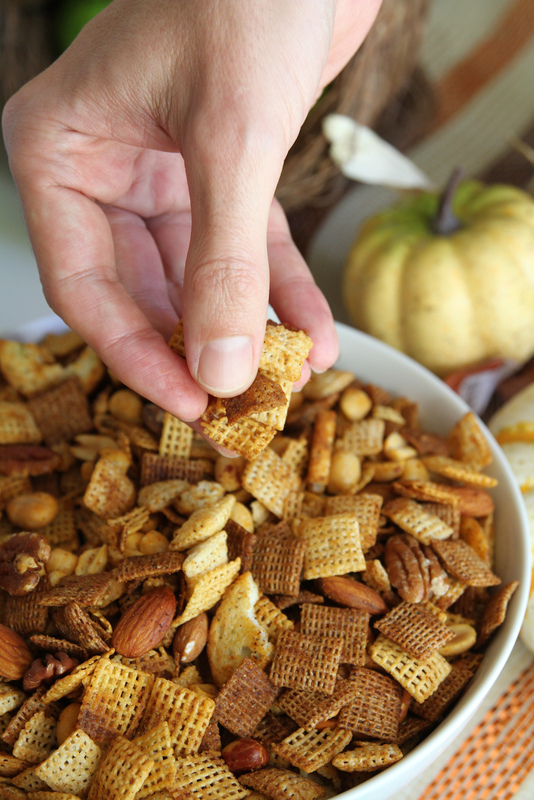 My husband was my very cooperative hand model here. 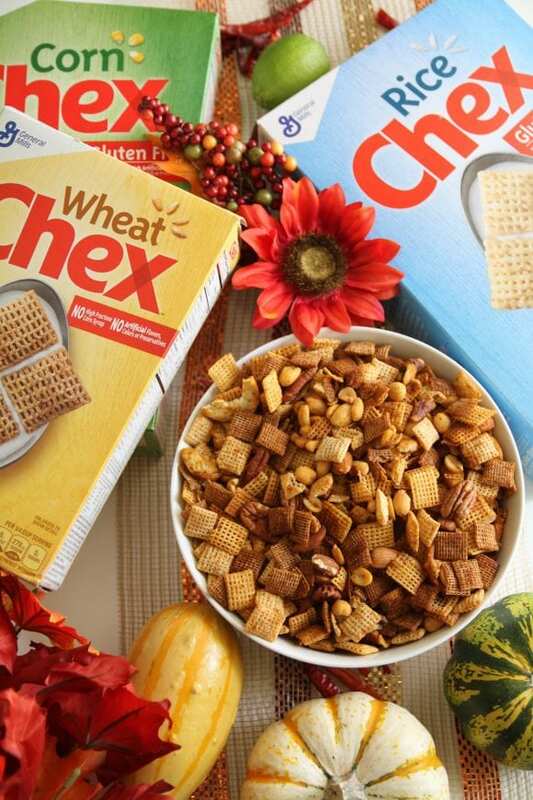 Feel free to mix and match your Chex cereal for the recipe. But after I put my camera down, I couldn't keep his hands out! 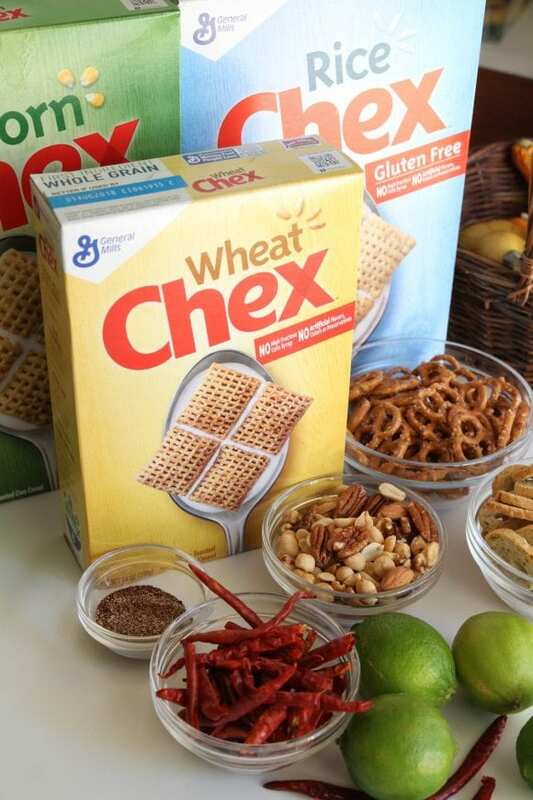 This post is sponsored by Chex Cereal but all opinions are mine. 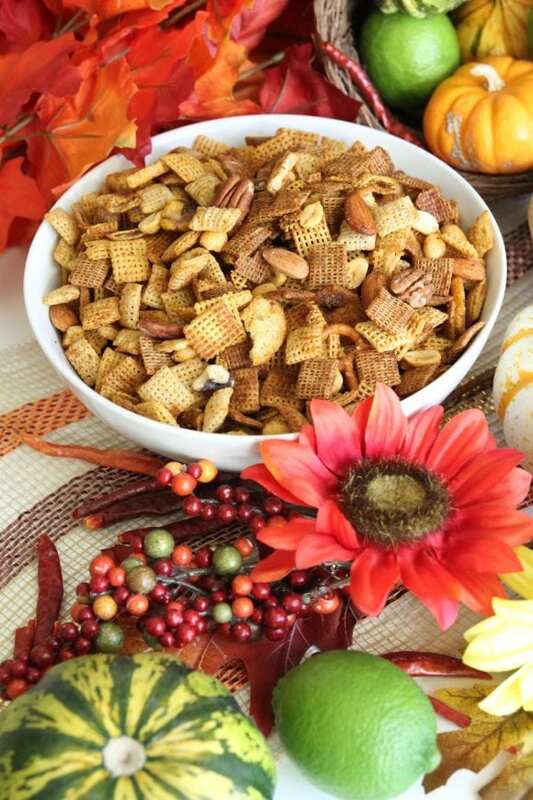 We love this Chex Party Mix recipe at our house.